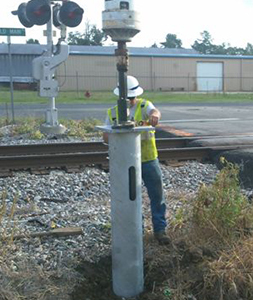 CHANCE® helical piles provide proven deep foundation solutions for civil construction, focused on supporting essential infrastructure such as sewers, telecommunications and pipelines. A key focus in civil construction is structural integrity and a solid foundation. 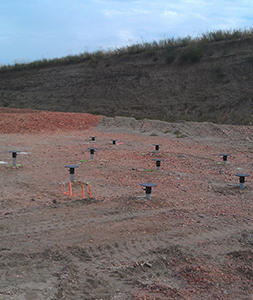 CHANCE helical piles provide the foundation necessary to support the structure as well as resisting loads. CHANCE helical piles are a versatile deep foundation system that provides superior, long-term performance over concrete or timber piles. Our system installs with low profile, standard equipment, without the added cure time of concrete.